Lost in the shuffle of Germany’s automatic weapons of the World War II era is the Louis Stange-designed MG 30. Rejected by the Reichswehr, the MG 30 ended up in licensed production by Solothurn in Switzerland (as the S2-100) and also by Steyr in Austria. Approximately 3,000 of the beautifully designed (and consequently expensive) MG 30s were purchased by Hungary, where they were known as the Solothurn 31.M. It was in Hungarian service where the MG30 would see the most amount of action in its original configuration. In Germany, Rheinmetall-Borsig modified the MG 30 design to create a modern machine gun for the Luftwaffe, first with the MG15, and later with the MG17 (which fired at an accelerated 1,200 rounds per minute). The MG 30’s design concepts ultimately led to the development of the MG34 and the MG42. The MG 30 is brilliant light machine gun overall that gets little credit for the potent weapons systems it spawned. You can see the Fg42 layout partially resembles it also, interesting internals I stumbled on it trying to find more about the Mauser G35 Leszek identified on this site. which look related to it possibly. when it says recoil operated on the page above I am assuming the barrel stays still is that right in this context? For short recoil as this was the case, the barrel is always moving some distance to commence unlocking. Term “short” does not reference to any specific distance as long as it is less that length of cartridge. In this case, the locking ring was rotated derived from motion of the barrel while bolt moves in straight line. In case of MG34 the bolt rotates as a result of motion of carrier connected to it by pin and cam. As a general rule, ‘something’ has to start to more to impart initial momentum. The barrel of the P9 doesn’t move, were as the Cz52’s does. Now, the case is pushing back against the slide in the P9 isn’t it. Were as the slide and barrel have to move in the Cz, via recoil, the barrel has to move in order to keep the cartridge in the chamber, however the movement of the slide unlocks it. What I’m wondering is, if the Cz’s barrel didn’t move and hypothetically there was another way of keeping the bullet in the chamber i.e. With the firing pin block behind it. Would the slide still recoil on it’s own, sort of Gerat O6h in regards it’s bolt carrier, or does the barrel have to move the slide by it moving to create the initial recoil momentum kind of like a Maxim guns barrel being moved by the recoil booster imparting a rearward motion on it? Say a Remington R51 “it’s barrel is fixed” now if there was a locking mechanism, similar to now, only it didn’t move with the slide initially, would the slide move around it. The hypothetical R51 locking mechanism variant, would resemble a Czech Zh29 bolt on it’s side, with it’s side locking piece engaging a wedge on the upper side of the frame i.e. on the bolts underside. The “bolt” would sit locked against the wedge while a round is in the chamber, creating a locking block while the slide is fully forward encapsulating it. Now if you imagine that the cartridge is locked in the fixed barrels chamber via the above, and you pull the trigger, I want to know if the slide will move around it, via recoil, because the muzzle blast has left the inert object i.e. The barrel/frame, but there’s a rearward movement generated now isn’t there because you fired something forward… Recoil, so were does it go, into the slide thus making it go back? If so the hypothetical bolt above would be actuated by the slide somehow, therefore disengaging is popping out lug from the wedge on the frame freeing it to move rearward with the slide etc but that’s by the by, it’s the principle I am trying to establish, would the slide move. The slide must move surely, that’s this inertia lark isn’t it, the barrel/frame stay still, the slide can so does move. Clarify something else for me rather, he he. HK design was revisited couple of times and I an had explained that thoroughly. On CZ52 Barrel and slide assembly are physically tied together by expanded – into the slide – rollers. rollers are located in block as a part of barrel. After passing idle travel they move into cavities in frame and let barrel go freely back. There is nothing what can go wrong on CZ rather than the side force in time of use tends to swell slide’s walls. I am not particularly keen on that design especially in connection with powerful 7.62×25 ammunition. So the slide would move then, if the barrel stayed still in principle. What I want to know is, is this pistols breech block actuated by the movement of the slide caused by recoil?? It has a fixed barrel, and is lever delayed, however I am under the impression the slide moves to facilitate the functioning of the lever? I.e. The block stays still until the slide moves, unlike in say a Remington R51. HKP9 works on “Delayed Blowback” principle which based upon Pal Kiraly’s 1912 patented construction. On this action, backward thrust of recoiling case in the fixed barrel, first transmits a certain amount of momentum to the semilocked breechbolt and this unit transmits the same to the piece carrying itself through a lever connected on the receiver. The lever or roller accerelates the carrier piece to a speed that the momentum of its share could not supply and, since the weight of that piece gains more speed than actually does not deserve, it happens quasi lightened giving excess momentum to the breechbolt piece, and by means, quasi weighting it, and since that piece gains more weight than actualy carries, it gets slowed. Levers and rollers are simply accerelators. Lever or roller delayers can not be explained through drawings. But the thump rule is, “If a mechanical accerelation occurs, it slows something engaged”. Hmmm, ok… He he, er… So Gerat 06h, BANG!!! 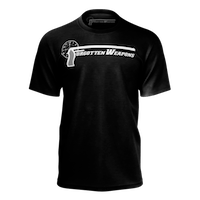 Projectile/gas out the front, rearward impetus generated as a consequence, transferred to the bolt carrier which moves against the recoil spring, unlock, bingo. Thus the slide would act as the bolt carrier, as only it would move rearwards as your holding the pistol. momentum gained via recoil to beat the gas pressure inside the case which only can be got through the projectile to go out of the barrel. Then, slide begins to go back as taking the lever and breechbolt up, out of the locking recess and usual blowback begins. May I say “I think this helps”. Well that what interesting… Explained the B76, more, kind of. I’m still saying recoil would cause the slide to move, and this could be utilized in a fixed barrel pistol via a locking block of some sort keeping the cartridge chambered. together with receiver waiting for a help only being able to come from an enchanted force. Delay systems are not locked. Their mechanisms only slow the opening speed of breechblocks using the working capability coming from gas pressure inside the case. They are also called as “Semi Locked”. What is the purpose of the connection to the gas tanks? It seems they’ve got an MP34? connected to the gas as well. Hmm, in the “gas tanks” picture the further-back gun seems nearly rifle-length. A gunfire simulator? The gas tanks are mounted on concrete blocks, so maybe this is a training set-up? Anyone familiar with German “gunfire simulator” systems of the interwar period? If you look closely, the gas bottle equipped gun does not have the usual flash hider but some form of nozzle at the front of the barrel. So gunfire simulator sounds reasonable. Is there an open tin of pellets on that white tray perhaps, can’t quite make it out properly, kind of looks ike one. I would venture it’s chlorine gas. They would wait for the wind to blow the right direction and open the valves. If the enemy’s courage and masks held..the status quo held. If they broke and ran then the machine guns started in. The gas bottles have the conventional pressure reducing and regulation devices (two manometers) that you find in any welding shop. With rough handling they can break off very easily. Not something you would want on a poison gas bottle. I opt for acetylene bottles and a machine-gunfire simulator. As far as I know, the Germans never even came close to deploying poison gas in WW2 – Hitler personally hated the stuff due to his Great War experiences. In any case, a tank sitting right there at the gun emplacement? The enemy would be nearly in pistol range before they were meaningfully harmed by such a release, and they all had gas masks… delivery systems of the post-WW1 era were more in the artillery and bomb or rocket mode, and of nastier things than mere chlorine (e.g. organophosphate nerve agents). While the Germans did use asphyxiation and Zyklon B for mass murder, they did not employ chemical weapons, apart from the possibility of the mopping-up of the Crimea in 1942, because the Wehrmacht was moved by horses for which no adequate masks had been developed. Personally, I’m convinced that if the Germans had launched See-Löwe the British would have used blister agents like mustard gas. Chemical weapons were used to some extent in the War of the Rif in North Africa, and apparently by the Bolsheviks against revolting peasants and enemy “Greens” in the Russian Civil War. The Italians used mustard gas in Ethiopia in 1935 and the Japanese IJA used chemical weapons in China. I like this layout with magazine on side; it makes it less visually revealing (and less obtrusive when observing target) than Bren. Not to mention that it can be fired off the left shoulder if needed, which comes in handy in house-to-house fighting. It has dual trigger. It is hard to find picture with operating system exposed. When you look at German weapons development between the wars (or, for that matter, Europe in general), it’s really disheartening at how US Ordnance seems to have largely slept through most of the period. The only bright spot was the M1 Garand. Those “Islamic state” chaps are charmers aren’t they, going around crucifying folk, most rude. Nice strategic defence review outcome, accountant Hammond. That’s right, by Gawd! B’sides, we have atomic bombs, now. We won’t be needing all of those silly tanks and rifles anymore. Best save that tax money to buy votes come election time, you know, bread and circuses and all. I used to have, many years ago while still in Europe, about 3 years of magazine Die Wehrmacht. I remember some of the pictures and articles. In one of them they showed U.S. troops in Jeep Willys as most modern piece of equipment they had. German military had multiple types armoured vehicles, not to mention airplanes, ships and so forth – technically far superior. There was label under picture something of meaning “Rosevelt boys are far too weak to fight us”. Usual propaganda. This problematic is generally wrongly understood IMO. As war started, Germany had almost totally upper hand, but that was soon to change (and it happened largely on Easter front). What was the decisive factor part of human effort? Simple answer: Russian and American industrial capacity and ability to replenish. This is the way to see and to understand WWII. True. It might have taken 4 Shermans to kill a Tiger, but those 4 Shermans were quickly replaced while the Tiger was gone for good. Also, both a landlocked Germany and tiny island of Japan had limited access to resources such as oil, iron, and food. As their overseas conquests were lost, so were the supplies. Big countries like the US and USSR had resources to spare. The best machines in the world can’t run with empty fuel tanks and the best soldiers can’t function with empty stomachs. Still, one has to admire the technical sophistication of German armaments (MG 42 variants still serve to this day). Add to that the fact that production output actually increased in Germany as the war progressed, in many areas, including the production of jet aircraft and ballistic missiles. Still, Churchill was right as he noted that when Hitler declared war on America, the issue was no longer in doubt and Germany was headed towards defeat (never mind his poking of the Russian bear). Exactly as you say: access to resources was a key factor along with available pool of labour and technical capacity to produce not to mention financial backing. Another item to add would be perhaps the sabotage factor which was unknown on Allied side and was widespread in Axis occupied countries. Workforce had low motivation and lived in fear be it local population or interned prisoners in concentration camps. At this web we are used to see world thru small arms and their role. They were (are) not negligible by any means and they were (are) not decisive factor either. I think the gas-tanks are for shooting pellets – anyone here tried to fit the firing solenoid for acetylene inside an MP34, good luck. Also look at the muzzle device of the MG30, it shows a tiny bore. They might be pneumatic marksmanship trainers, e.g. converted to pellet guns. More I read this website, more I realize my gunsmith idea have been commercialized decades ago. Maybe a non-browning pistol design with fixed barrel, delayed blow-back, home repairable and with less pieces would be viable? And the following question would be “patent to the inventor’s name and take the risk of failure or patent as a GNU public and allow everyone to try make profit from it”? 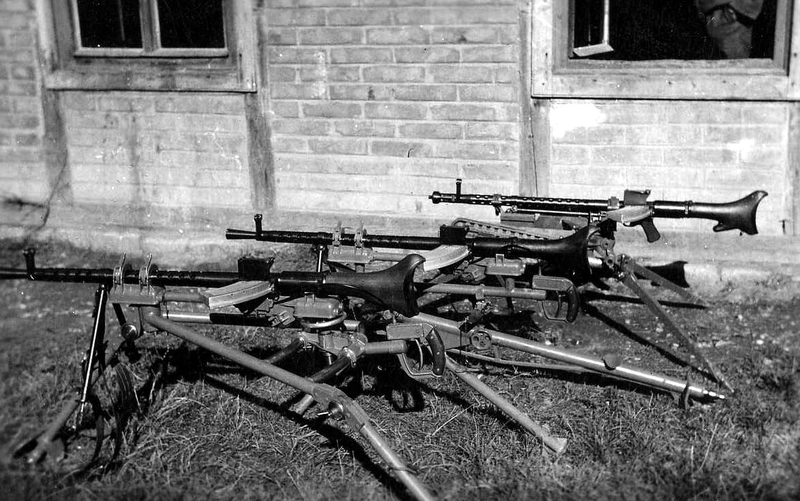 Over at the Soviet Gun archives, there is a presentation of partisan training on use of foreign weapons including the Solothurn anti-tank “rifle”–pushes the envelope between anti-tank rifle and small anti-tank gun… and the German Dreyse MG13, that uses a similar layout to the Solothurn M30, and a side mounted box magazine. 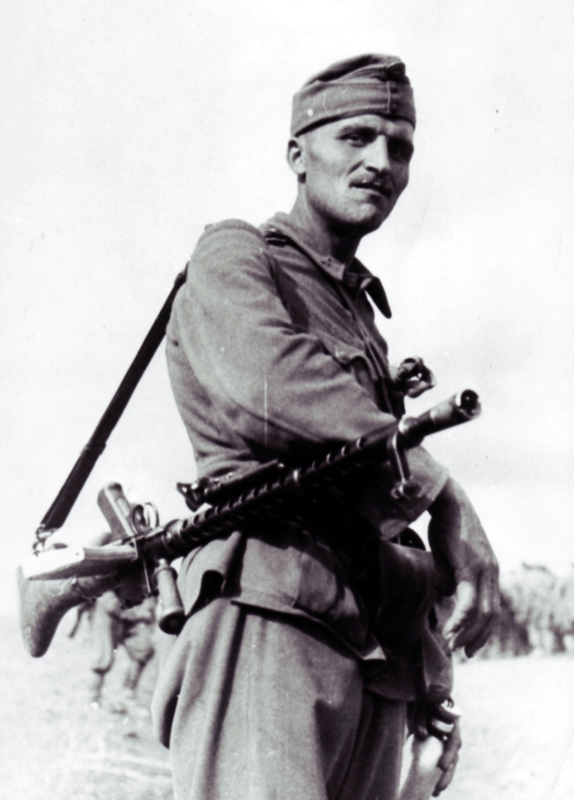 If it was widely used by the Hungarians, then it was used by Soviet partisans too… Are there design similarities between the German Dreyse MG13 (adopted by Portugal), and the Swiss/Austrian MG30 (used by Hungary)? According to Max, they were developed in parallel, but are not the same internally. The description herein talks of “locking arm” rather than “locking ring” as used on MG30. Other item mentioned is that MG31M (I brought up page on it earlier) was actually Hungarian version of MG30. Here are some detail pictures of MG13 – it is visibly different, mostly in receiver area from MG30. In various sources, the MG30 is not mentioned as being German machinegun at all. Would anyone disagree if I said the Hungarian Army was the best army on the Eastern front after Werhmacht and Red Army? It is obviously hard or even impossible to define what “best” means in the context. Hungary has gone after WWI at first (and as previously defeated country) – thru another war with Romania where it ended defeated. In following it went thru wild changes of political orientation from extreme left to no less extreme right. 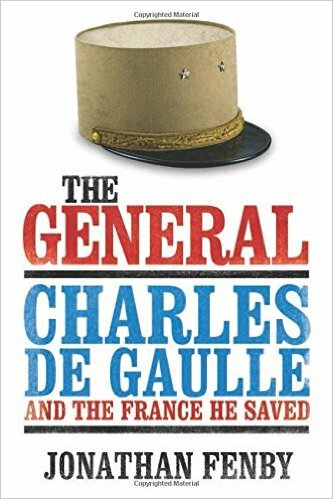 Given my European background I do not remember ever hearing any negative in that sense about them; as a fighting force they were well respected. For one thing, this was not a period from today’s point of view, by which Hungary would be proud of. Second, of course people who would remember to tell you true account are dying out. Books are not factual, mostly. So what you have left is research using various sources; unless you are recognised as historian. I read a book and heard the stories related to battle of Budapest – it was extraordinarily vicious; Hungarians put up fair amount of resistance. They were facing Malinovsky’s Second Ukrainian front. 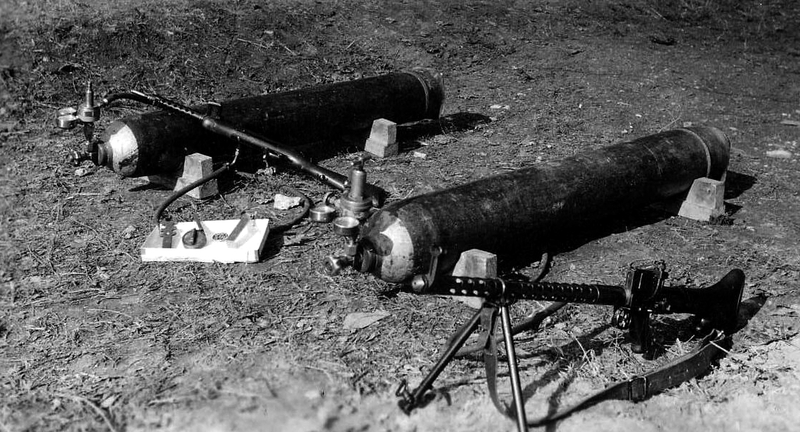 Photo with the gas cylinders – there was a compressed air operated training system for the smg. My bad guys, I didn’t get this information in along with these photos. The photo shows the compressed-air pellet training device, fitted to both the MG 30 and the Steyr Model 1930 submachine gun.